This is not really for any company but really looking into what is happening with the world and all that is happening with the stocks and many companies. Hearing companies have done stupid things getting fines or because they done stupid decision they go bankrupt. Also hear business stealing from their costumers or sneaking money into their own pocket. This is just a scream that they should run it as it should. Also hear things which we never had heard before, like some city of the Netherlands had their money at ICESAVE and many other government money used or placed where it should not be. These are things which should have been public from the start people need to know where the governments money is going and the tax payers should know what is going to happen their money. Also for the first time heard that odd shaped or crooked cucumbers and carrots may now be sold? What? Why may they not be sold on the first place? As I know banana are crooked and they are sold. And many potatoes are deformed and odd shaped. Seem very odd that people could only buy pretty looking veggies, while they are eatable and mostly when they are on your plate they eventually look very different then when you have bought them. I think many things that could improve the world should not be in secrecy. Also I think journalist are nowadays running after big news or just behind the celebrities then on what is important. Because at Eindhoven it was the first time I heard about that teflon cookwares can produce toxic fumes where you can get sick from. Watch this vid to learn about it. The presentation was held by GreenPan which has a thermolon layer and no teflon or any dangerous toxic chemicals. Search vid of it and learn about green pan which is much better than teflon non stick pans. I want to hear about this because only in America people know about this teflon non stick pan problems but it was never told in Europe before. 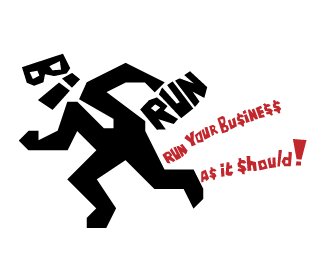 So hope what ever company or business you are running, that you will run your business as it should! And I hope for the rest of the world that money crisis will end soon with the holidays coming up ahead.